Bali Spa Ubud garden spa located on Bisma street in Ubud where lots of cafe and boutique is there! 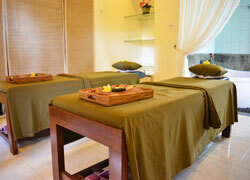 Their spa statement is Be healthy with balancing mind and body. 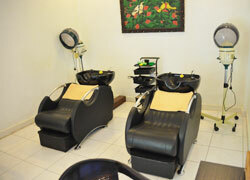 They also has wide range of Ayurveda treatment. 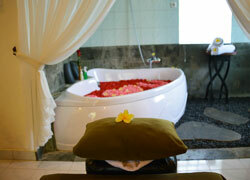 Inside spa is full of Balinese traditional atmosphere that you can relaxing deeply. Ubud sightseeing & Spa tour! 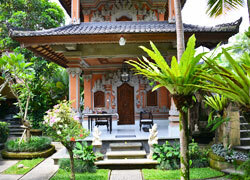 The package include Ubud sightseeing and 2 hours or 3 hours treatment. 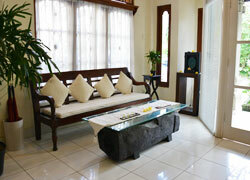 You can choose start time for spa treatment so you can arrange tour by yourself. ※Please let us know your spa request time. Care for sunburn skin! Feel smooth skin by yogurt pack! Available Free transport from 1 persons in Ubud area. Additional charge 850 yen / one way（1 person） for Nusa Dua, Jimbaran, Kuta,Sanur, Seminyak if booking package menu with 2 persons. 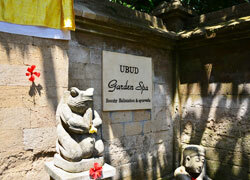 Ubud garden spa is protected by Indonesian law. Please understand before booking. 1. In case administer justice between customer and spa, the supervisory court is in Denpasar Bali. 2. Maximum amount of the guarantee for accident(include death) is Rp20.000.000 that basically maximum amount price in Indonesia. 3. The spa will not take any responsibility for injured, stolen, lost, trouble, terorism, demonstration, terrorism, Natural disaster, late because traffic jam. We recommend to join international insurance. 4. Our product made by natural ingredients which not caused by atrophy, allergy. Please let us know if you have trouble for skin when counseling. We will not take any responsibility if you wont tell anything during counseling then having trouble on your skin. 5. Please let us know if you have complain at spa. We will not accept any complain after you leave Bali. 6. We will not rerun fee if canceled treatment by Demonstration, Terrorism, Natural disaster. 7.We can not guarantee if traffic condition is bad or we can not response your request.